It’s finally here! We hit the short window where we can jailbreak iOS 9.3.3. It’s exciting and nerve-wracking and potentially shady and damn it I’ve already upgraded so no going back anyway. This is a particularly tricky jailbreak to complete, so read this guide carefully before starting so you don’t accidentally commit to something you don’t want. Should I upgrade to the new jailbreak? 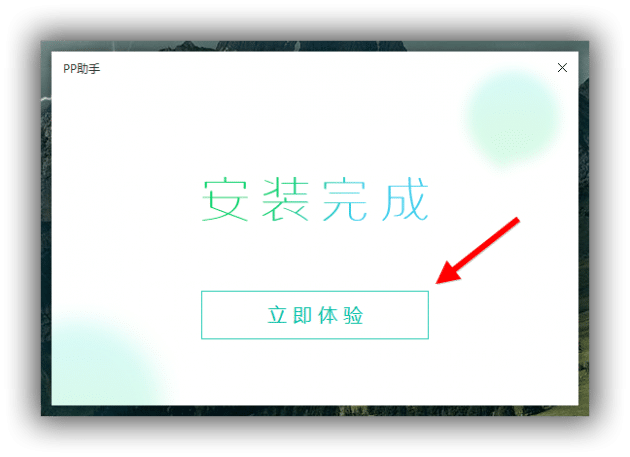 The tool is in Mandarin Chinese and isn’t easy to use. An English version is coming Soon (TM). The jailbreak is “semi-tethered” A true untethered jailbreak means the phone always reboots in a hacked state, no re-hacking necessary. In the old days, a tethered jailbreak meant every time you rebooted your phone it needed a hacking tool to start up. 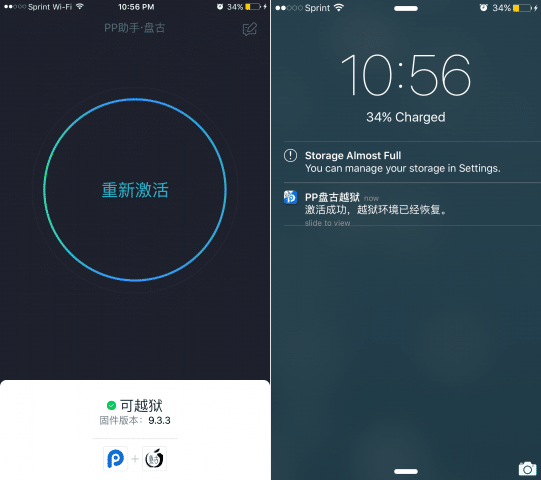 This semi-tethered hack means you need to run the Pangu app every time your iPhone restarts to turn jailbreak mode back on. If you don’t, Cydia crashes on opening and tweaks don’t function. Some users have reported GPS troubles. This happened to me right after I jailbroke. A reboot fixed it, which is what other people have reported. libLocation also reportedly helps. Not all jailbreak tweaks will be compatible with 9.3.3. Your mileage may vary. /r/jailbreak is tracking compatible tweaks. Jailbreaking 9.3.3 might require giving your Apple ID to a shadowy Chinese jailbreaking team. It looks like the tool sideloads the Pangu app through a free developer account using your Apple ID. Make a dummy Apple ID for this. The tool only works on 64-bit devices (iPhone 5S A9 chip and newer). **The official Pangu tool is only for Windows, but there are beta solutions for Mac and Linux. If all that doesn’t scare you off, then here’s how it’s done. iTunes – Important bits to notice. 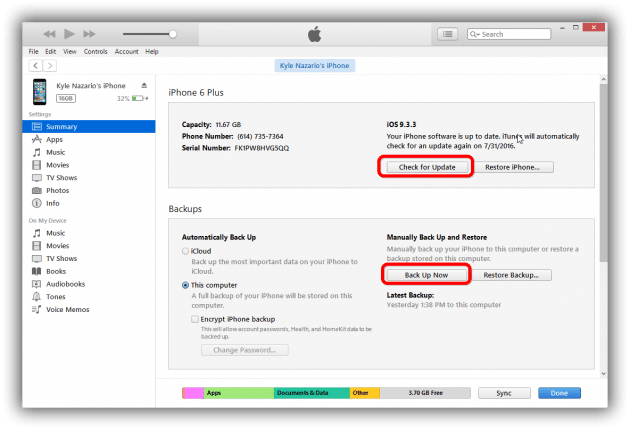 First, connect your iPhone to a PC and make a backup. To do that, open iTunes and click the tiny phone icon by “Music” at the top. Select “Back Up Now” and let iTunes do its thing. Make sure iTunes is updated. If it doesn’t ask you at startup then try Help > Check for updates. There are ways to manually download the iOS firmware but honestly, they’re more complicated than doing it through iTunes. On the iTunes screen for your iPhone, click the update button in the top box. Open your iPhone and go to Settings > Touch ID & Passcode to disable the lock screen password. This will help expedite the upgrade process. While that’s running, download Pangu’s PP Assistant. Once iTunes is done upgrading your iPhone, close it and open PP Assistant. Click the green button on the image and watch the percentage tick up. Once that’s done, click the green box again. Basically, keep clicking the large green buttons. Click the Large Green Buttons to Proceed. Eventually, it’ll ask for your Apple ID. Either use a dummy account or reset your password immediately after jailbreaking. Click the big green button again! If all goes well, this will install the PP Assistant app on your phone. On the phone go to Settings > General > Device Management. There should be at least one account listed there in your Apple ID’s name. Open that and select the option to trust that developer account. 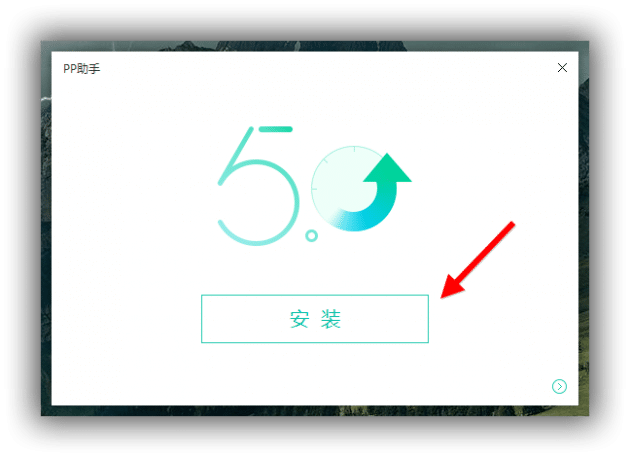 Now go back to the Pangu home screen and open the PP Assistant app. Allow it to send you notifications. This is actually how the jailbreak works. 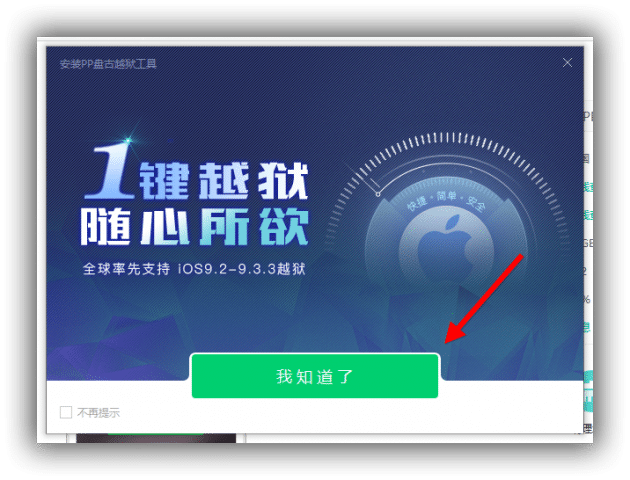 Tap the checkmark at the bottom of the screen to avoid Pangu’s bundled app store, then tap the giant circle in the middle. Once the circle vanishes, put your device to sleep. Big Button to Jailbreak post Rebooting. Wait a few moments. The phone will wake back up with a PP notification. There will also probably be something about storage being almost full, but ignore that. Wait and the phone will respring in jailbreak mode! To keep your jailbreak, you’ll have to do everything listed above in the Pangu app after each reboot. Janky, but likely the best we’ll get. When you open Cydia for the first time, try to install only one package tops because it’ll also install a lot of important system-level packages and not whatever you’re trying to load. If you have GPS trouble, reboot the entire phone and then do the respring process. 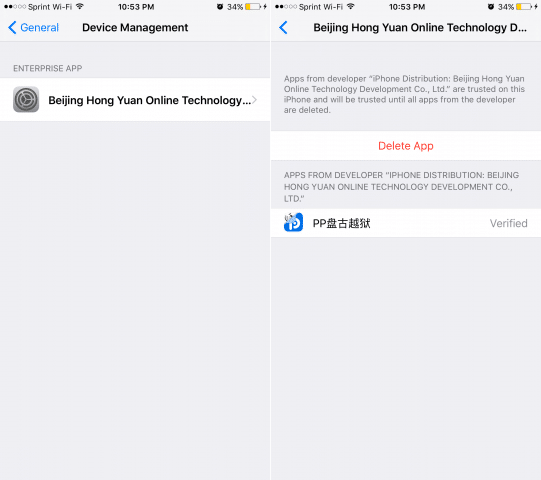 At some point, the Apple ID-labeled device profile will change its name to “Beijing Hong Yuan Online Technology Development Co., Ltd.” This is Pangu, it’s normal. If you’re still confused, the community at /r/jailbreak is really helpful and can answer any questions. Check out their wiki. This is a tricky one indeed, with lot of post jailbreak work associated with it. So read carefully and go ahead with the jailbreak only after understanding what all is involved.